Abandoned Haunted House Complex is home to four entirely different Haunted Houses. Abandoned’s Haunted Complex is designed to attack our customer’s senses in multiple ways to ensure people of all types are entertained. Our Haunted House Complex utilizes a continual walk-through approach for our events. There are 2 entry lines that allow customers to enter either the Ambush / Hysteria Combo ticket or a separate line to enter Stalker Haunted Cornfield. We also offer Quickpass upgrades which allow customers to use their own lines to enter and to SIGNIFICANTLY reduce your wait times (typically 15 mins or less)! 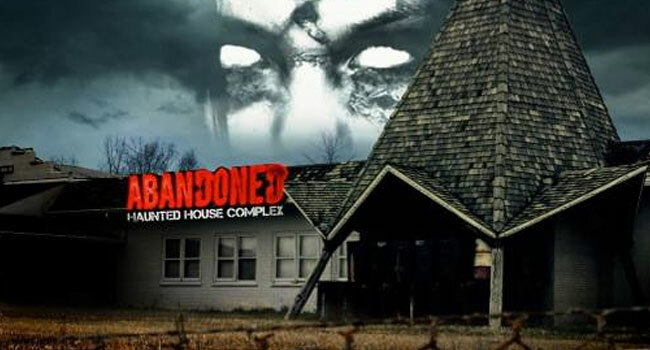 How was your experience at Abandoned Haunted House Complex? Amazing. If you are looking for a good scare come here. This haunt is truly scary! I went with my boyfriend, and we were put in a group with two women. By the end of the first room, I was holding my boyfriends hand as a life line, but by the second room the stranger behind me also grabbed my hand, and her friend was hanging on to her, as well. The four of us proceeded to hold hands the ENTIRE way through the rest of haunt (which ended up being much bigger than I had thought). The zombies were fantastic looking and totally creepy! There were a couple rooms throughout the haunt that ended up being so scary that I just squeezed my eyes shut. I’m looking forward to seeing what they have in store this year. I totally recommend checking it out! If it’s scary enough to hold hands with strangers for extended periods of time, I feel like they’re doing it right.